Beach visitors and Hilton Head residents alike marvel at some of the culinary splendor that happens throughout the area, so come with an empty stomach to enjoy some of these favorite events. You won't have to step far from your Hilton Head beachfront condo to find something delectable regardless of the time of year due to the high volume of delectable restaurants that already call the island home. Carve out some extra time to hit these favorite culinary excursions! If you've been wanting to check out some of the fare at delicious Hilton Head restaurants but weren't sure where to start, this event will help make your decisions for you. Restaurants participate by setting up fixed-price menus so that guests are able to sample some delicious food at an affordable price. Use this opportunity to step outside of your comfort zone and try something new! One of the best things about living so close to the beach is that it also brings fresh seafood and trained chefs who love to cook it. This event provides opportunities for the whole family with crab races, a kid's area, and tasty treats served up by some of the area's most celebrated chefs. If you didn't get enough outstanding food during the Seafood Festival, you've got another chance to please your palette with the Wine and Food Festival held the very next week. Kick back and relax with some wonderful wine and some of the best cuisine available on the island. Don't take this opportunity for granted. 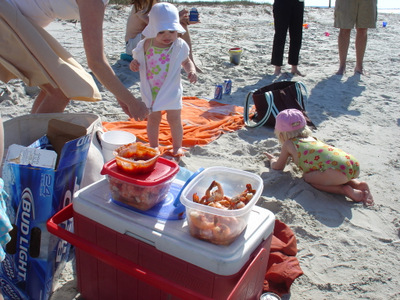 It's a great time to celebrate with family or friends and enjoy the best views and food Hilton Head has to offer. Who doesn't love bacon? Get your taste of the finer things at the Wine and Food Festival in March, but save your bacon and beer appreciation for this block party held in the spring. This event is chock full of food but also entertainment. Bacon sampling, bacon cooking competitions, candied bacon, and live music are just a few of the highlights. Definitely bring your appetite alone for this event! Plan ahead for 2015 by putting these special culinary events on Hilton Head into your calendar. Whether you'll be gathering with neighborhood friends or inviting others down to visit you, be sure to bring your camera to capture incredible memories! Purchasing a Hilton Head beachfront condo opens the doors to an exciting world of opportunities, and you may find yourself a hot vacation spot for family members and grandkids. While there's a plethora of ways to enjoy Hilton Head outdoors, you might be surprised to learn there's just as much to see indoors. Here are a few ideas for your own kids and grandkids or for when you're hosting family from out of town to keep them entertained and excited. Located just between Hilton Head and Bluffton, this spot boasts a soft playspace for tots but also has bouncy houses geared for kids all the way up to teenagers. They are open every day but Sunday between 10 and 6, so allow the kids some fun time to run wild and explore. Let the sportsman come out in this fun and interactive experience, all located indoors so you can enjoy it rain or shine. You can rent the batting cages by the day or by the hour, so let the little ones practice their skills for as long as you'd like. Fun for adults, too! Whether you're a grandparent looking to spoil the grandkids or want to send visitors home with a special gift, why not check out the Hilton Head candy company? A mix of modern and retro candy can be found here to delight the requests of any palette. This is a quaint museum, but children will enjoy the butterfly house during a morning or afternoon visit. In addition to indoor interaction, you can often spot wildlife in the wetlands just outdoors. Check the schedule ahead of time to see if there are any special shows in the outdoor amphitheater, too, for extra education and engagement. This hands-on museum appeals to children under 10, but adults often find themselves having just as much fun. Need a few hours to let younger children blow off some steam? This is the perfect location with lots of toys and games to allow them to play for several hours. Move and Motion offers summer camps, but you should also check out their regular monthly schedule to see what kind of gymnastic and movement classes might appeal to the kids in your life. If the little ones you're hosting are artistic or love color, the chance to create their own pottery is a great way to bring out their creative side and enjoy an afternoon. The kids get to take home whatever they create, or you can add their new masterpiece to your decor at your beachfront condo. No matter what their interests or how much time you have, there are plenty of opportunities to enjoy the indoors as well as the outdoors on Hilton Head! 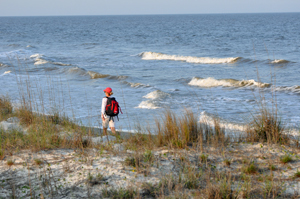 The South Carolina coast is blessed with an enormous amount of island of all sizes, shapes and character. The SC lowcountry area which is the area around Charleston and South to Beaufort and Hitlon Head Island is where you will find most of the small islands that dot the coast. The areas around Edisto Island and Northern Beaufort County have the most amount of islands and they can stretch from the beach areas on the Atlantic to some 30 miles Westward toward the mainland. 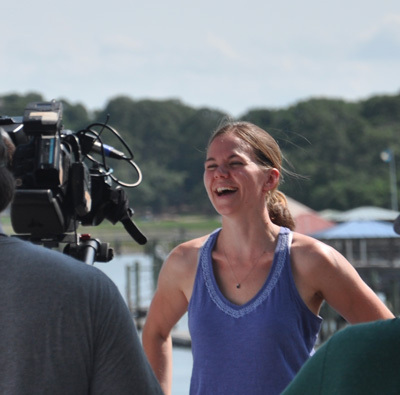 Ever since I helped filmed one of Discovery Network television shows on Destination America I have learned that owning a private island is more on the minds of folks eying the coast for recreation and retirement. The show I helped film was "Appalachian Islands" and can be seen on the series "Buying The Beach". 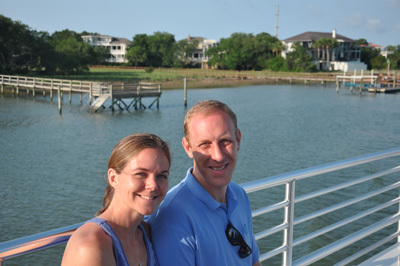 My client's John and Amy were moving to the coast from the mountains of NC. So the name of the show is about their finding a private island that would give them the same sense of privacy and rustic environment that they had been used to. 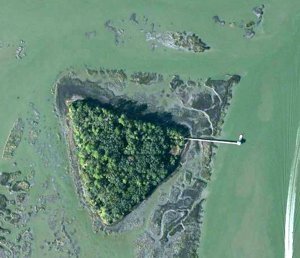 This 100 acre island in the photo below is for sale and is connected by causeway to a 400 acre deep water tract. Contact me for more information on this island for sale on the SC coast. Most of the islands that front along the beach have either been developed or are set aside as conservation property and are a natural resource for the public to enjoy. However, there are many islands near the beach that are accessible by boat and their access varies quite a bit. In addition to thousands of islands our coast also has thousands of marsh areas, creeks, and rivers. Some of the island s are on deep water rivers and can be accessed by private dock. 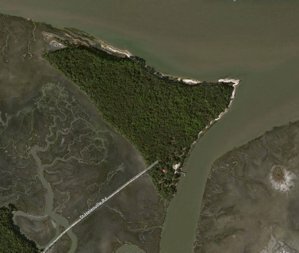 This island in the photo below is connected to St Helena Island located near Beaufort SC and is accessible by causeway. The island has power and water. Contact me for more information. There are few islands have causeways that connect the island to either another main island which is in turn connected to the mainland by a series of bridges and roads. But most of our islands are only accessible by boat. Improvements on our islands vary from a simple camping structure to sophisticated fish camps with generators to beautiful homes powered by electricity bored under the river to the island. It is a rare find to have an island that has had electric power run to it under the river and also has a property nearby that has a nice home and dock under the same ownership. This 6 acre island shown below is for sale and has a very nice home just across the river that comes with the sale. Excellent opportunity to buy a home and an island together at a very reasonable price. Check with me on this one. I also have photos of the main house. Great buy! I am always out in my boat exploring our many islands, creek and rivers. I specialize in coastal and waterfront property along the SC coast in the Charleston, Kiawah, Edisto, Beaufort and Hilton Head area. If you are interested in learning more about the waterfront lifestyle and real estate along our coast just give me a call. I always figured that filming a TV show would be a fair amount of work, but not until I actually helped film a show did I realize just how much work. Even though 21 minutes of television took three long days of traveling and filming, it was worth it. We traveled by boat to three different private islands over a period of three days. Two of the islands are off of Charleston SC. Dewees Island, located just North of The Isle Of Palms was the location for the most refined property I was showing my clients Amy & John. Dewees has a wonderful beach, it is very low key and the island residents keep the island well protected from environmental damage. The home that we viewed is on the market at a price of $900K. If you would like more information on this property for sale on Dewees island just give me a call. 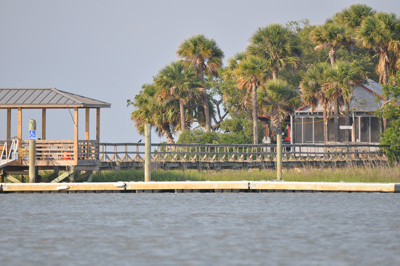 The other private island located off of Charleston SC is located near Folly Beach, has a private dock and also a neat rustic tree house style cottage built on it as a weekend getaway. The third Island we filmed is off of Hilton Head Island and is also close to Beaufort SC. This island is actually privately owned and not for sale. It is my family's private fish camp and is a great example of what island living and having a coastal retreat can be like. 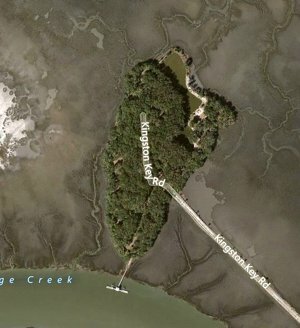 There are several private islands for sale off the coast of both Beaufort SC and Hilton Head. Some are undeveloped islands which may be improved with a dock for access and some that have homes and docks already in place. if you are interested in finding out more about private islands off the coast of South Carolina just give me a call. I know of several islands for sale along the coast of Hilton Head, Beaufort, Edisto Island and Charleston. So three days of filming the television show Buying The Beach on The Discovery Network segment of Destination America was a lot of fun. I think the show turned out well and my friends Amy and John looked like seasoned actors on the show. I would not be surprised if Amy gets a call from Hollywood. Here enthusiasm and acting ability were perfect for the show. The only surprise I had when we first arrived to meet the film crew was we needed to wear the same clothes for three days in a row. Showing all three islands was to look like we did it all in one day once it was edited. Oh well, I guess those other two new shirts I bought to wear on the show are a good addition to my wardrobe. You can check out the schedule for the show "Buying The Beach" by following this link. Our show is called "Appalachian Islands" because Amy and John are from the mountains of NC and were looking to find a private island that reminded them of the simple life they had before. Click Here BUYING THE BEACH schedule. Give me a call if you would like to check out some islands or other types of waterfront property along the coast of South Carolina. From fish camps to fine island homes, I can find it for you. 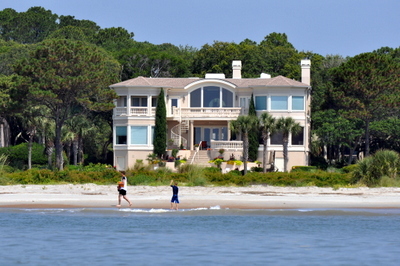 Capitalizing on the first rate location of South Beach on Hilton Head Island, Sea Pines effortlessly draws interest from real estate investors and vacation rentals to families and executive singles. Offering an unbeatable combination of security and state-of-the-art sporting and leisure facilities with a prime oceanfront and wildlife reserve setting, Sea Pines villas and condos present living options seldom found in such grand style. 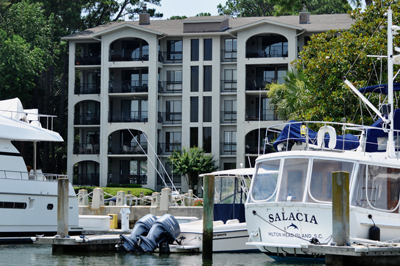 As the original gated community of Hilton Head, Sea Pines began its commitment to residents already in the 1950’s. Through careful caretaking of the five miles of pristine beach, 600 acres of wildlife preserve alongside the offerings of championship golf courses, swimming pools, walking and bike paths only a few minutes by car to some of the best restaurants and shops in the area, the sprawling complex of Sea Pines expertly manages the relationship between the folk who are privileged enough to live and play here and their natural surroundings. The variety of villas and condos, from one to seven bedroomed properties, and all the benefits to be enjoyed by living full-time in this part of South Carolina, are just too many to mention. The best advice I can give you, and as locals we are all about sharing our pride and joy that is Hilton Head Island, is to take time out and spend a relaxing day with me browsing a few of the available options. Many homes offer an ocean view and/or oceanfront position while many more benefit from the various waterfront options that include views and access to deep water, creek, marsh or sound. This is truly a naturally adventurous outdoor playground where homes blend with their natural landscape to maximize the gorgeous setting. With its robust tourism industry and vibrant world-wide appeal, Hilton Head amply supports the buoyant rental market that Sea Pines generates as the largest plantation on the island. Attracting visitors from all over the globe, and not ‘only’ for its fantastic variety of watersports and incredible climate, this part of South Carolina also reflects the history and charm that the southern states are famous for. As one of the most established neighborhoods – and largest at more than 5, 000 acres - on Hilton Head SC, Sea Pines remains a unique lifestyle option that also represents an excellent investment opportunity. If this area has been a favorite playground for you, your family and friends for a good few years, now’s the time to consider more than just a vacation rental. 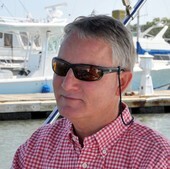 If you would like more information on Sea Pines and available condos and villas on the waterfront just give me a call. I would be glad to help find the right property for you. Taking its cue from nature, the name ‘Palmetto Dunes’ tells us that this is lifestyle resort where swaying palms and gentle sandy beaches are the highly prized natural ingredients making this community the sought-after success that it is today. Setting the idyllic scene of relaxed luxury, Palmetto Dunes is an interesting development worth a closer look. 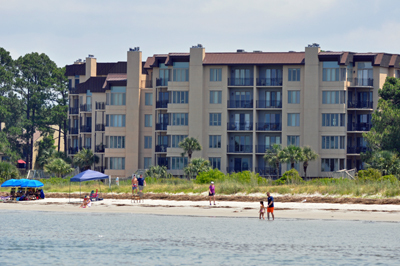 Palmetto Dunes Oceanfront Condos are located on the ocean side of the resort. The plantation is divided into four separate sections, each with their own particular personality and function, these vast areas of lush plantation includes a marina, a resort and villas and condos either on the beachfront or overlooking Shelter Cove Marina. These villas offer you the opportunity to live full-time on this magnificent estate or have a villa as a vacation rental that you can also use for you and family on occasion. For seasonal visitors - most of whom return again and again to enjoy the region’s weather, fine fare and friendly ambience - Palmetto Dunes, in addition to the vast rental portfolio, is especially privileged to include top global names in luxury hotel resorts: Hyatt, Hilton, Disney and Marriott Resorts. Benefiting from the proud history of service excellence that these world-class players bring to the area, the residential developments in this secure estate are equally committed to combining high-quality living and coastal carefree lifestyle. Offering expansive views from oceanfront to harbor vistas, the exquisite villas at the beach start around $400,000. This is one of the most luxurious plantation options on Hilton Head Island. This tradition is in keeping with the exclusive reputation that Hilton Head affords its real estate investor, and Palmetto Dunes is no exception as it continues to present one of the most successful examples of productive synergy between environmental care, relaxed luxury and excellent returns. In addition to the value of real estate property in this development, this family resort consistently receives top honors from various travel magazines - particularly as a family resort. It makes sense, then, that Palmetto Dunes has developed specifically to maximize the benefits of the Atlantic location, security of guests and residents as well as ease of access to all the excitement that Shelter Cove Marina has to offer. Whether you are looking for a place in the sun for a weeks during the year, an investment or a home to live in full-time, this is one luxury resort that must be experienced first-hand. In addition to a unique 11-mile lagoon system, an incredible variety of outdoor activities and a deep yacht basin at Shelter Cove,there are two completely private residential gated communities, Leamington and Mariner, to call home. 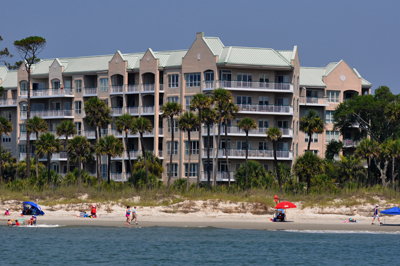 To see current real estate listings for oceanfront condos in Palmetto Dunes visit this page Condos on the Ocean in Palmetto Dunes. Feel free to call me for more information about condos and villas for sale on the oceanfront in Palmetto Dunes. I am here to help. Living and working within the area known as Hilton Head Island means we appreciate the privilege of a relaxed way of life. 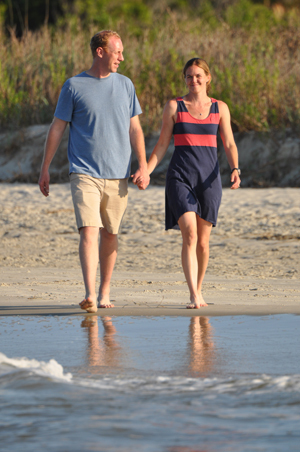 This kind of laid-back lifestyle is afforded by the position of Hilton Head along the glorious eastern coastal region of South Carolina, which we are fortunate to call home. We understand the need for the island to support the congestion of more than 2 million visitors who flock to this exquisite coastal playground for their annual vacations. Managing this influx of people requires us to be especially respectful to the incredible array of precious wildlife including birds, turtles and other sea animals. Locals have opted to invest in a beach renourishment program to ensure that the coastal waters and sandy beaches remain healthy for all those who use it – either for pleasure, for their livelihood or as their natural abode. Maintaining the wide shoreline of this second-largest barrier island on the East Coast ensures the natural environment for sea birds and sea turtles is protected and recreational activities continue unaffected - while at the same time acknowledging the huge investment home owners make when buying oceanfront homes and businesses. This ongoing project has earned Hilton Head widespread acclaim for our positive proactive approach to environmental awareness. This oceanfront community is clearly committed to the natural heritage, ensuring return visitors year after year and high-end investment in gated and non-gated neighborhoods. Your choices are endless as a visitor – either to invest in timeshare villas or to purchase a second home as a permanent vacation getaway, with many folk opting for oceanfront real estate in this sought after part of South Carolina. I know many folks who began their relationship to Hilton Head as visitors, and have become permanent residents, looking to a wider variety of real estate. For example, the first development of this area is Sea Pines, which began in the 1950’s. Sea Pines excellent oceanfront condos and homes that have been carefully developed is a good example of this area’s history of development based on sound environmental principles. This community kick started the accelerated growth that is Hilton Head: 12 miles of expansive beach brilliance offering exceptional quality in both architecture and investment that remains completely committed to ecological sustainability. You can be assured that the homes and villas for sale in Sea Pines were built to blend in with the natural environment. It is common knowledge that we are voted 1 of the top 10 beach destinations in the country. However, it is fair to say that locals are keenly aware that Hilton Head Island is not only for the enjoyment of humans kayaking, jet skiing, boating, fishing and swimming – to name a few of the local pastimes. Both visitors and residents are privileged to see endangered loggerhead turtles nesting along the broad sandy beaches and beautiful bottle nose dolphins playing and feeding a little way from shore. Many folk visit and live in this area exactly for the environmental benefits – being able to bird watch from your front veranda or balcony, watching Egrets and Sandpipers in action reminds us of how special this coastal region is – not just nationally but globally, too. If you’re thinking of spending time exploring the natural wonders of this island, and would like to take a drive to see what possible properties might be available, you are very welcome to call me. Perhaps you have environmental queries about certain developments or maybe you’re curious about all the different lifestyles on offer – from condos to villas, some oceanfront, and some waterfront, others beachfront. I am always on hand to answer questions and give advice, as there is no greater privilege for me than the pleasure of sharing our home region with you. 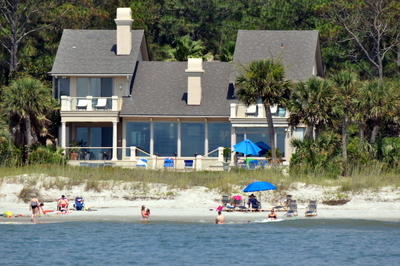 One of the older, most stately combinations of private homes alongside vacation rentals designed as a gated community/resort is Hilton Head Island's Palmetto Dunes. Conceptualization began in the ‘60’s with development beginning to take shape from 1967. The focus of Palmetto Dunes has always been the advantageous natural location: the Atlantic Ocean, with its fantastic position directly across from Shelter Cove Harbor. The estate (or ‘plantation’ as many locals call gated communities) known as ‘Palmetto Dunes’ actually contains two privately gated neighborhoods: Leamington Community and the Mariner's Section. In addition, it is anchored by powerful resorts known for their luxurious finishes and amenities, as only the Marriott, Hilton, and Disney can provide. I can say as a proud local, that this particular development presents a fine balance between the natural deepest yacht basin of the whole island, as found at Shelter Cove, three miles of exquisite beaches, and 11-miles of lagoon system with constructed bike paths, golf courses, and tennis courts. Like most of Hilton Head Island in its early days, Palmetto Dunes has a history in hunting and timber. It was actually the milling company’s president, Jim Self Jr. who owned all 1,900 acres of oceanfront land, and he in fact constructed Hilton Head’s first golf course. Today that course can still be played at Sea Pines – the Ocean Course. As a development, Palmetto Dunes was from the get-go an environmentally sensitive project, with an eye constantly on ecology and the sensitive relationship between progress and precious natural resources. One of the gems of this community is the 11-mile lagoon system, built specifically to provide a natural haven for fauna and flora, while allowing residents to benefit from the peaceful natural beauty of this unique coastal community. Complementing the idea of the lagoon was the massive undertaking to dredge at Shelter Cove, thus creating a deep-water marina. Today, this is a thriving marina, complete with stores, condos, eateries and offices. If you take into account the three miles of pristine beach, championship golf courses, award-winning tennis resort, dedicated bike trails and a lagoon system designed for fisherman and boaters, it isn’t difficult to see why Palmetto Dunes Oceanfront Resort is rated one of the top family resorts in the United States and Canada. Obviously designed with families in mind (as it is listed by Forbes as one of the top family friendly vacation resorts), Palmetto Dunes is keenly security conscious. Two security gates strictly control access to the private residential area - 24 hours a day. All of the oceanfront homes are on the beach side of the resort, where there remain in Palmetto Dunes plenty of interesting oceanfront villas and oceanfront condos for sale. Along with Sea Pines, this is an interesting part of Hilton Head Island history worth taking time to explore. I would be extremely proud to show you our community development history. I look forward to sharing these local gems with you.